LV (Limited Viewing) -- Injured players who have not had sufficient viewings to be categorized. 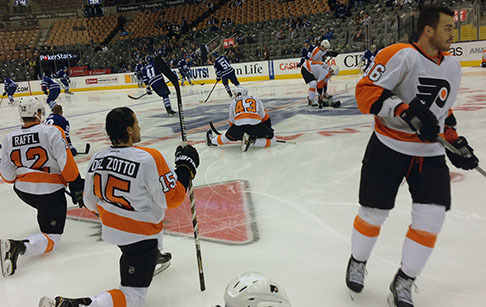 * The Flyers four-game unbeaten in regulation streak in the preseason at the Air Canada Centre, previously 3-0-1, got snapped on Tuesday. 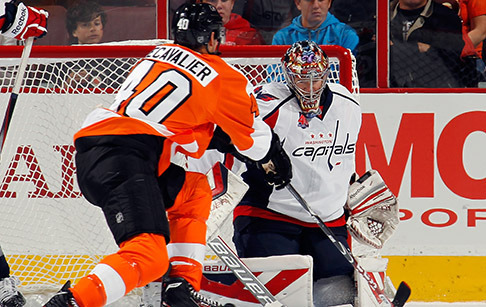 * The Flyers haven’t been shut out in a preseason game since Sept. 26, 2009 — a 1-0 loss at New Jersey. After 143 days, the Flyers will take to the ice as the 2014 preseason officially gets underway on Monday -- not just once, but twice. 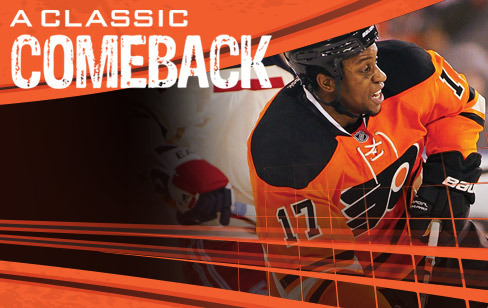 The Flyers have unveiled a third jersey for the 2014-15 season, bringing back the 2012 Winter Classic look. The team will sport the new jerseys 12 times this season, including 10 at home and twice on the road. 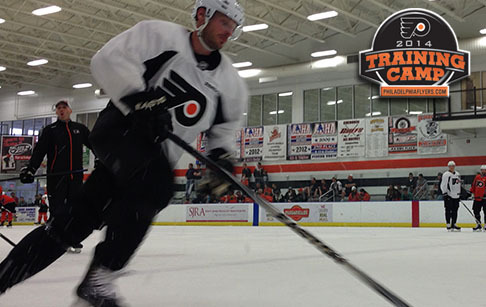 Day 1 of on-ice practices began at the Virtua Center Flyers Skatezone and true to his word, it began with the theme that head coach Craig Berube said it would. 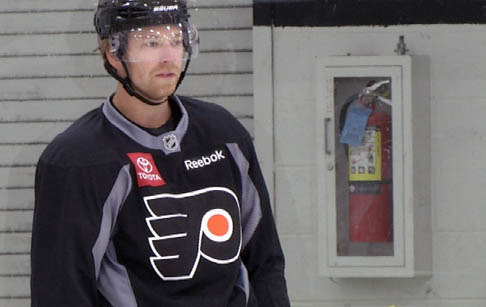 UPDATED: Flyers GM Ron Hextall announced that Claude Giroux will be out approximately two weeks due to his lower-body injury he suffered on Day 1 of the on-ice portion of training camp.